The Skincare Routine that Makes Me Feel Luxurious on the Daily | ever emma. . . I am just so, so excited today, because I think I'm finally on the right path for my skin. You guys this is huge. Before we get into what path I'm currently on and the products that are changing my skin, let me give you a little background information. When I was 18 I spent a lot of time complaining about the little hormonal acne I would get. My Oxy pads didn't seem to fight them hard enough and those damn Proactiv commericals were just so very convincing, so I switched over to Proactiv right before I left for college. I'm sure there were numerous factors that led to my sudden case of cystic acne. I was depressed. My diet was kind of all over the place. I do feel though that Proactiv didn't help my skin at all. Either way I had painful cystic acne all over my face. It was embarrassing and seriously messed with my self-esteem. Since that time I have tried so many over-the-counter and prescription products. I have been on Accutane, it was awful. I have been on Spironolactone, which, by the way, has a rare side-effect of causing vision loss. That was fun. I tried out Doxycycline, the same drug that you use for Malaria and Lyme disease. I tried Tea Tree Oil and Crude oil. I took dairy out of my diet. I mean, you name it and I've probably tried it at least once over the last decade. Some of those things did make a positive difference, but none of those things made a difference that would last. None of those things really improved the overall quality of my skin. All of the things have felt like a chore. 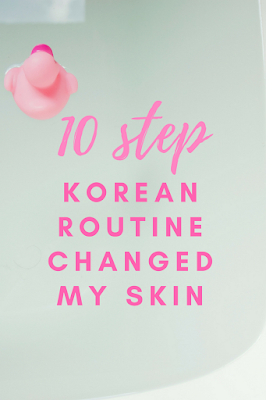 I started getting interested in Korean skincare and beauty quite a few years ago, but at the time the products I wanted to try weren't accessible and were very expensive. The thing that interested me the most is that it seemed to be doing that exact opposite of both my dermatologists (I've seen 5) and beauty magazines had been advising and prescribing. 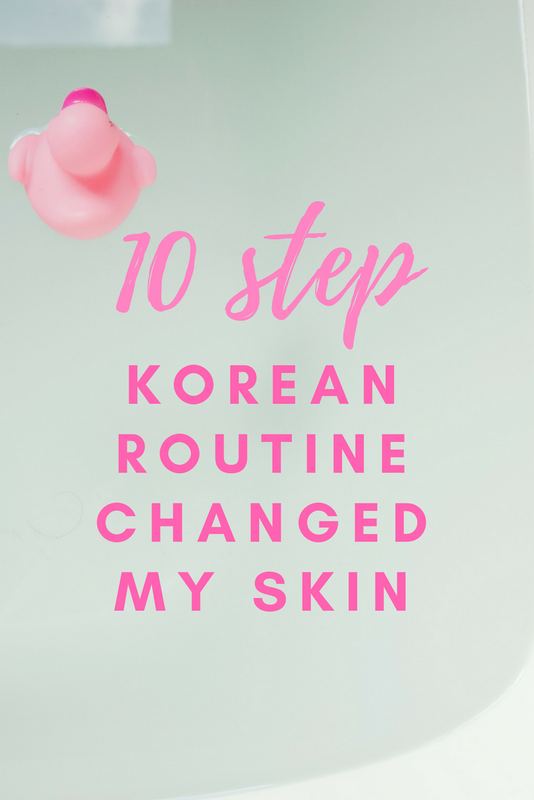 Instead of stripping my oily, now sensitive, skin with harsh chemicals the steps in Korean skincare routines seemed to focus on adding more moisture. Going on 2 months ago I looked into at least trying to replicate the process with whatever similar products I could find, because literally nothing else had worked, so really what did I have to lose? Much to my surprise the world has become even smaller and products have become more accessible thanks to Sokoglam.com and, my personal favorite, Amazon. I got to work slowly using up products I had and introducing new products to the mix, with the overall goal of my own 10-step routine day and night. I know it sounds like a lot, but it's actually not bad. 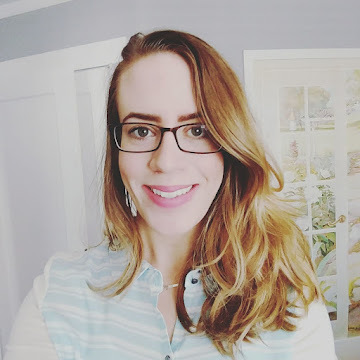 I'm not going to get super into what the thought is behind all of the steps, but will instead just show you the products I am using and sharing my thoughts. If you want to learn more about the process there is some great information here or you can check out The Little Book of Skin Care by Charlotte Cho . Both have been such a help! Here is a little before and after, after following a 10-step process for about a month. 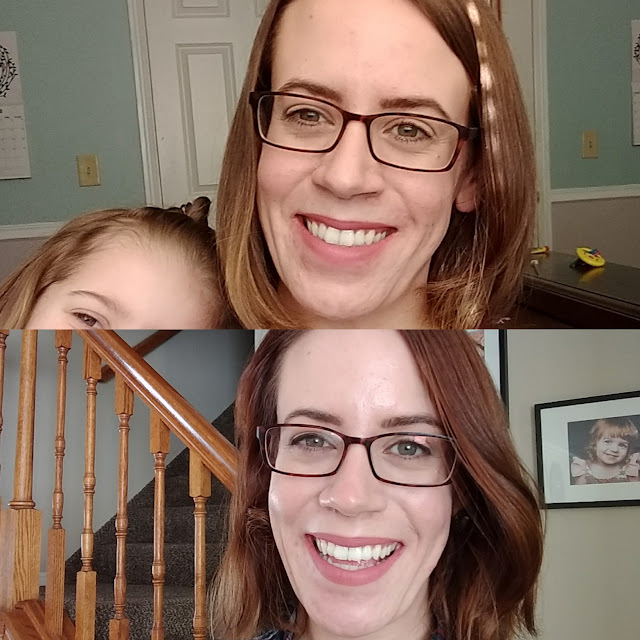 Granted, the lighting is a little different, as is my hair color, but I think you can see a reduction in fine lines, scarring and an increase in overall brightness. This is a work in progress and I actually have some more products on their way. I'll keep you posted on those. I'm currently using a mixture of western products and Korean. Some of these things I will probably be switching out. Unless otherwise stated, I use these products both in the morning when I wake up and in the evening before bed. I didn't realize that I needed these to be two separate things until today. I had just been using Garnier SkinActive Micellar Cleansing Water for this step and it does a pretty decent job removing makeup, but it's obviously not oil based. I plan on modifying this step by using Banila CO Clean It Zero (Purifying) when it gets here on Tuesday. I have been using Skinfood Egg White Pore Foam and I really like this product. There are a lot of different cleansers out there, but this one is very affordable and works well. I use my chemical exfolitator twice a week. Right now I'm using AHA+, which is leftover from my journey using the Acne.org system. I may look into some other options, but have a decent amount of this to work through first. I've been using Dickinson's Witch Hazel Pore Perfecting Toner, but have since learned that it's actually pretty harsh on your skin. I'm still in the process of researching toners, but will let you know when I find one to replace this. Cosrx Advanced Snail 96 Mucin Power Essence for the win! I pump a little bit out and gently tap it into my skin. If you could only buy one thing to add to your skincare routine I think that this should be it. Right now I am only using Skinmiso Pore Minimizing Serum. I have definitely noticed a difference in my pore size, so it seems to work. It also smells really good. I simply tap it into the affected areas until it's soaked in. I just ordered Klairs Vitamin C Serum to use in addition to the above. This is supposed to help minimize pores, but it is also supposed to really help with acne, scarring and hyperpigmentation. It has good reviews, so I have high hopes. I only do this twice a week on the same nights that I exfoliate and this is probably my favorite part of the whole thing. I have been using the Dermal Korea Collagen Essence Masks. It's a variety pack and it's the least expensive option I have found. So far my least favorite mask has been Gold, smelled like a motel room to me. My favorite is probably the Snake Venom. It made my face feel all tingly, so you know it did something. It's recommended that you rub the excess all over your hands, neck and your face. Don't let it go to waste! I received a sample of Origins Plantscription Anti-Aging Power Eye Cream and that stuff is amazing. It definitely works, but I'm not entirely sure that I want to pay $47 to continue using it. I plan on finishing up that sample, but have already purchased LilyAna Eye Cream Moisturizer. It's not a Korean product, but the reviews and the pictures are very promising. It's also significantly less in price. When you are applying eye cream, you are supposed to use your pinky finger to tap it in all over the orbital bone. Don't get too close to the lash line though! I was originally using Neutrongena Hydro Boost Water Gel and LOVED it, however, I found myself going through the container fairly quickly which was adding up financially. No bueno. I'm cheap and wanted to explore less expensive options. Costco had an Olay Regenerist Micro-Sculping Cream coupon and everyone and my Grandma seems to swear by this stuff, so I took the bait. While this Cream has some similar ingredients to the Gel I had used before and I appreciate that I seem able to use less, I am finding that it seems to be clogging up my pores a bit. It's manageable for now, but I'll be exploring my options further. I've changed my approach to how I apply my moisturizer and that has also made a big difference. Bye bye puffy morning eyes! Here is a video showing you what to do. It feels amazing and I do it every single time I do my moisturizer. It's also recommended that you do a sleeping mask on occasion. I have Birch Juice Hydro Sleeping Pack on its way and will report back. This step is only in the morning. It's suggested that you reapply your sunscreen throughout the day, so I am leaning towards purchasing the Missha All-Around Safe Block as it looks like it would be easy to add over any makeup. Do you remember when everyone was crazy about BB Creams? I'm telling you right now that the BB creams in America are subpar. Missha M Perfect Cover is a freaking miracle. I've linked to the shade I have been using, but you can click around and check out SokoGlam.com if you think you may want a different shade. TL;DR If you only have the money to add one thing to your skincare I would start with sheet masks! 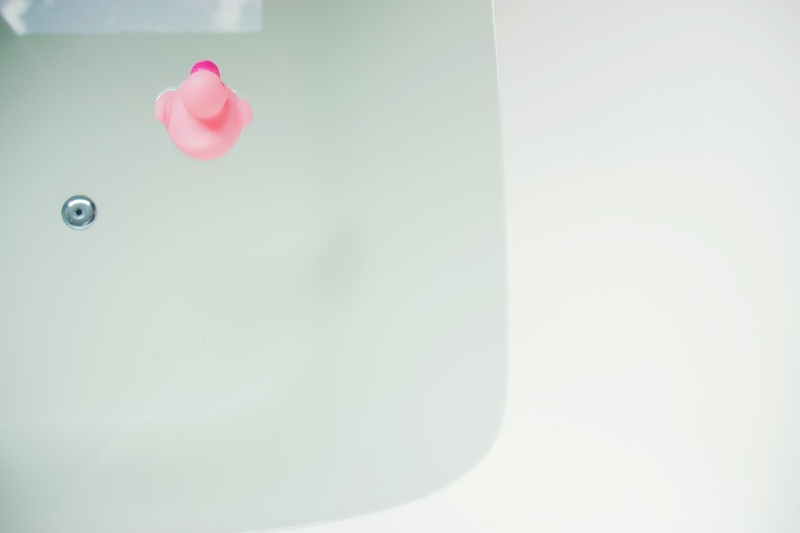 It feels luxurious, adds hydration, and plumps up your skin. I would also suggest putting on your moisturizer while also giving yourself a lymphatic massage. Again, it feels luxurious, is free, and eliminates so much puffiness! 4 comments on "The Skincare Routine that Makes Me Feel Luxurious on the Daily"
Holy moly, so many things to look into! Thank you so much for all the links. I used to use that same toner but it ended up being murder on my skin. I've yet to find a decent toner.